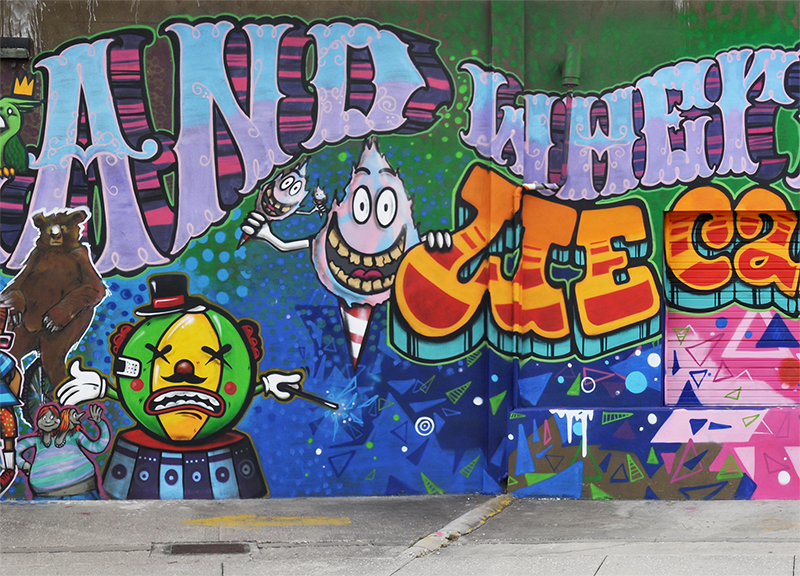 A circus themed mural painted for the Sarasota Chalk Festival with my good friends Gabriel Diaz and Marcello Mesquita. The mural uses the eccentric nature of the circus and its cast of characters to highlight the importance of open mindedness, individuality and acceptance while paying homage to the Ringling family and their role in the development of Sarasota. The mural was improvised and painted entirely with spray paint.